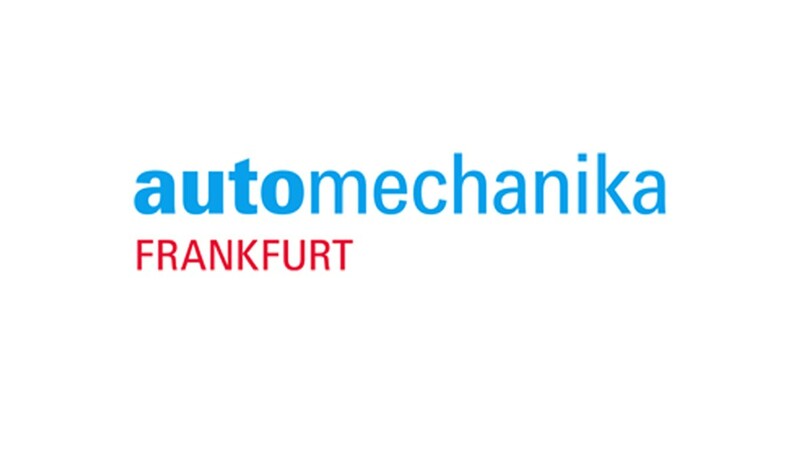 “Get more – be part of it” was our motto at this year’s Automechanika Frankfurt. From 11 to 15 September we presented our comprehensive system expertise for the transmission, engine, and chassis segments on over 1,000 square meters of stand space – A01 in the Forum. With the help of state-of-the-art technology, you experienced how even complex vehicle technologies are easily repaired using our solutions. We look back on a terrific Automechanika with sensational highlights. With our motto "get more - be part of it!" we didn't promise too much. At our trade fair stand you could experience our promise of “more” first-hand every day anew! Take a look with us at the best of the week. With the LuK, INA, and FAG brands, Schaeffler is THE system specialist for transmission, engine, and chassis – and also delivers repair solutions tailor-made to the needs of garages. At the Automechanika Frankfurt, we demonstrated how our system expertise meets increasing demands of the automotive aftermarket – now and in the future. The Schaeffler brand LuK is synonymous with comfortable, efficient power transfer in the transmission. LuK clutches are installed in every third vehicle worldwide. The share of original equipment with LuK innovations like the dual mass flywheel will rise even more in the future – thanks to the downsizing trend. Our DMF is very popular with automotive manufacturers because it effectively dampens engine vibration in the transmission. The growth has fueled the spare parts and repair business of LuK distributors and garage partners. This is because only those who know how a component works and what forces it is subjected to, can deliver the perfect spare parts portfolio for it. LuK offers the right repair solution for every type of transmission. The portfolio covers nearly every vehicle type and engine version in Europe – from clutch repair sets for classic manual transmissions, to dual mass flywheels, all the way to repair solutions for double clutch transmissions. 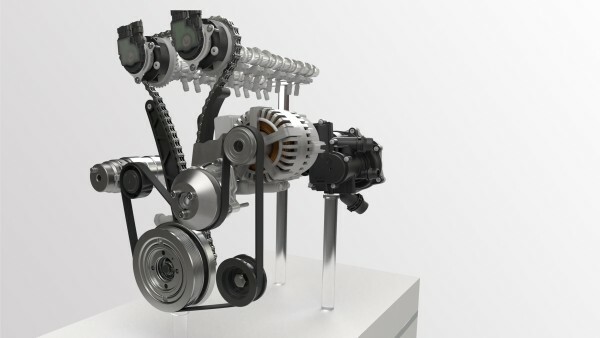 With their latest innovation, the LuK GearBOX repair solution, LuK brings transmission repair back into the garage and offers repair professionals a profitable complete solution that includes technical support. Our LuK brand is synonymous with comprehensive transmission competence – regardless if it’s for clutches, vibration damping or transmission components. Rouven Daniel, Head of Transmission Systems, presents our wide-ranging product portfolio for garages. 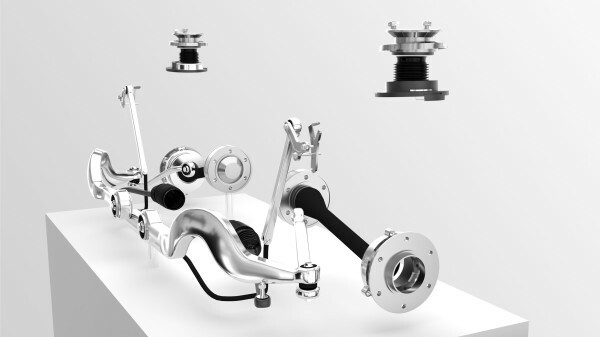 As transmission specialist, we provide intelligent repair solutions to the spare parts market. These allow garages to deliver efficient and professional repair. 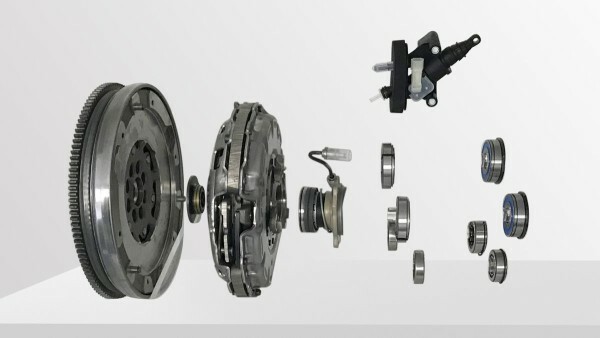 With our LuK RepSet product family, we offer market-leading repair solutions for professional clutch repair. As the inventor of the dual-mass flywheel, our outstanding reputation for innovative damping technologies – represented by our LuK brand – is unmatched. If repair is needed, we offer an unbeatable portfolio of products for all transmission types. “Repairing complex technologies with Schaeffler” – this is our goal and our promise to distributors and garages. Under the INA brand, the Automotive Aftermarket of Schaeffler offers an unprecedented wide range of products and repair solutions for the four key engine systems. Whether its valve train, timing drive, front end auxiliary drive or cooling systems – INA products are based on Schaeffler’s development and production know-how of original-equipment parts. It goes without saying that the highest material and manufacturing quality applies to INA repair solutions for the independent spare parts market as well. The INA product portfolio offers the most comprehensive coverage for vehicles in each market region. 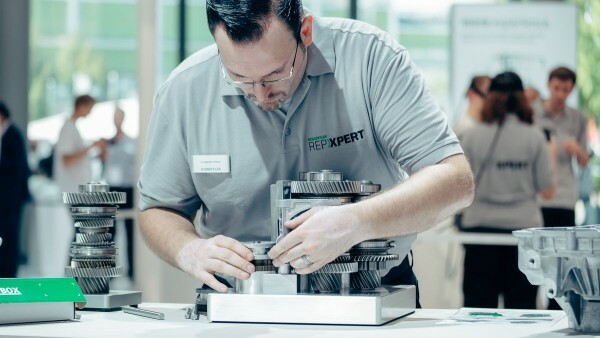 In addition, the service brand REPXPERT offers special tools and repair support for garage professionals – from virtual installation instructions to training seminars and a hotline. What makes Schaeffler the engine specialist for the spare parts market under its INA brand? Dr. Robert Felger, President Product Management/R&D, explains how competence in the key engine systems achieves this. As engine specialist, it goes without saying that we offer garages a comprehensive assortment of products – for the timing drive, the front end auxiliary drive, the valve train and engine cooling. When repairing a timing drive, garages can depend on our comprehensive portfolio of products. We offer everything needed for professional repair – for both timing belts and timing chains. Air conditioning, a power steering pump, start-stop system – demands on the front end auxiliary drive are increasing all the time. Choosing a product from our comprehensive repair program will help ensure sustainable repair. Mechanical, vacuum-controlled or electrical – when it comes to water pumps, few can match us. As a pioneer for needs-based cooling, we offer the innovative thermal management module exclusively to the independent Aftermarket. We offer a market leading program of repair solutions for the valve train. Thanks to highest levels of precision in assembly and installation, we enable garages to conduct professional repair. 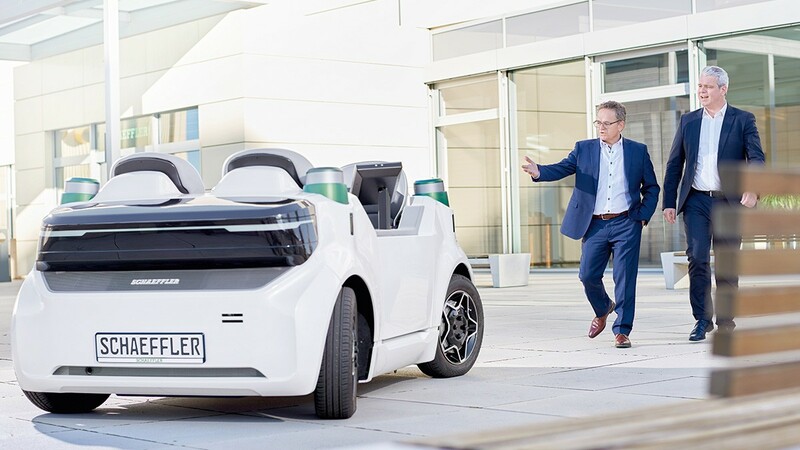 Dynamic handling, agility, safety, and high levels of comfort are requirements that automotive manufacturers and customers demand of their vehicles out on the road. To combine these attributes, profound knowledge of the entire chassis system and its individual components is required. 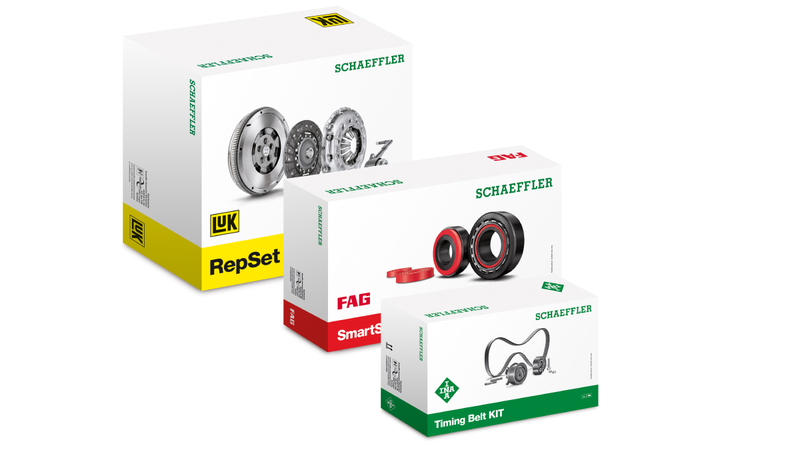 With the suspension, damping and bearings products of its FAG brand, Schaeffler is the specialist for chassis technology. Highest material and manufacturing quality, combined with original-equipment know-how, ensures intelligent repair solutions that are precision-tuned to the needs of garages. FAG repair kits, including the right accessory parts, ensure an efficient installation process, simple handling, and the highest-possible repair quality. FAG stands for highest material and manufacturing quality. Maik Evers, responsible for chassis parts explains the market leading technologies employed by Schaeffler. 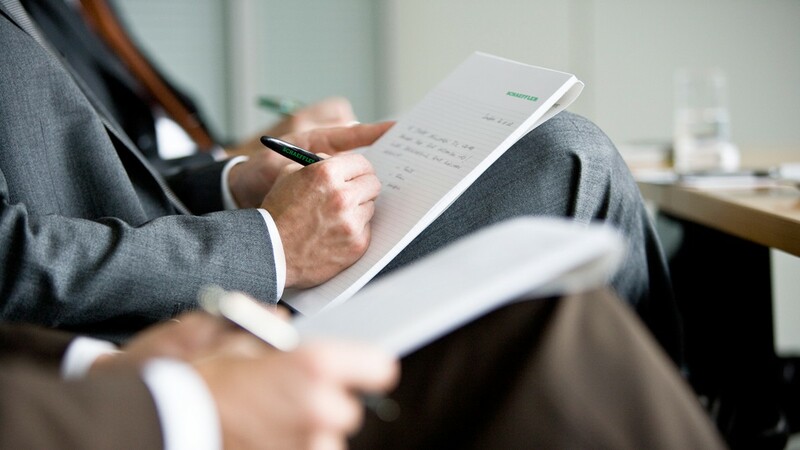 Be more than just a spectator – become part of our product world and experience our 'more' in performance up close. Not without reason is our motto "get more – be part of it". On more than 1,000 square meters of stand space (Forum, A01) we take you to the garage of tomorrow. Get a glimpse of what you can expect at our stand. Digitalization is one of the strategic topics of the future that drives our industry. Michael Söding, CEO Automotive Aftermarket, gives an insight into Schaeffler's aftermarket business. We make our solutions for the automotive aftermarket an interactive and animated experience for you. Come and convince yourself of our comprehensive system understanding in the transmission, engine and chassis directly at our stand at the Messe Frankfurt Forum. 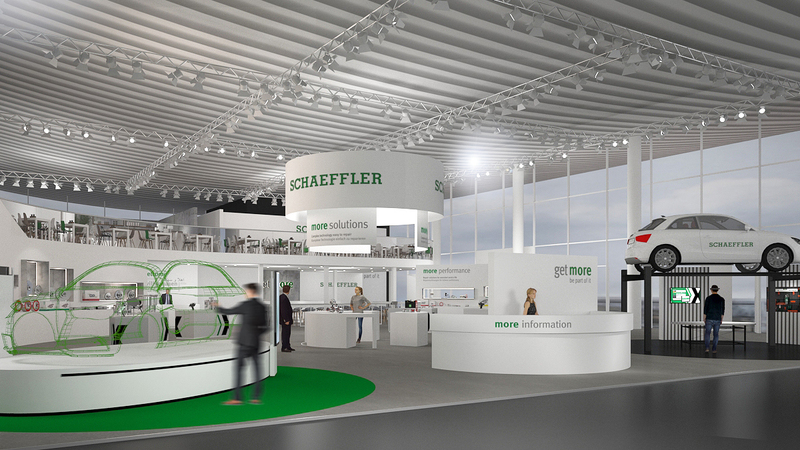 With the Schaeffler "Glass Car", we demonstrate our OEM expertise at the world's most important trade fair for the automotive aftermarket. 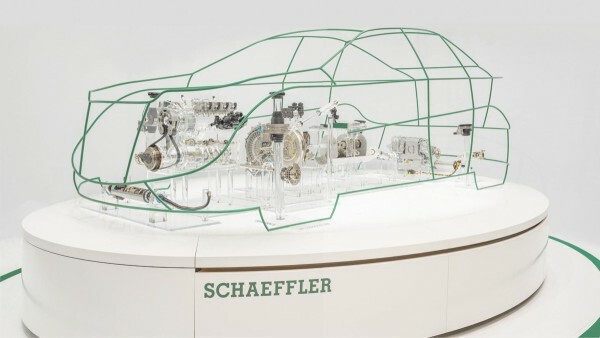 The real model is full of around 40 products and technologies from the Schaeffler world and demonstrates our technical excellence down to the smallest detail. As always, we are also represented by our garage service brand REPXPERT. On five workbenches directly at the stand, we will showcase how we currently support garages in their daily work with our intelligent repair solutions. And not only that – we venture a look into the future and demonstrate how garage work could soon be changed through state-of-the-art technology. Look forward to getting more. 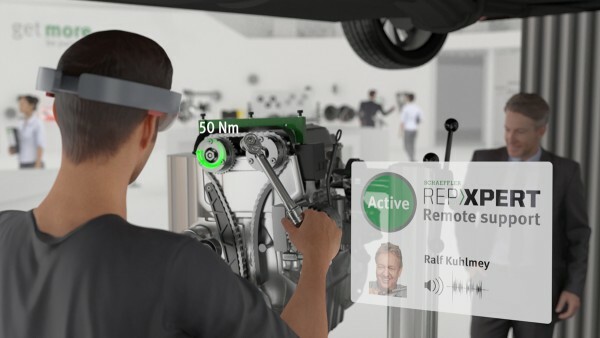 At Automechanika Frankfurt 2018 we will be addressing one of the industry's leading topics of the future: Mixed reality. This new technology may soon change the way garages work and become the standard for repair support. 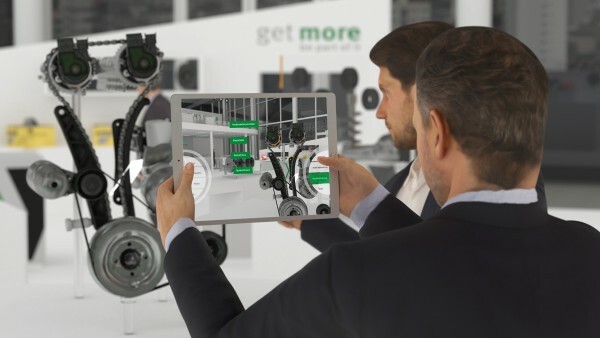 At our booth we will show you how mixed reality enables interactive repair instructions with real time remote support through experts when replacing a dual mass flywheel and the timing chain.